I will admit that I sometimes tend to collect things just because everybody else is doing so as well. Cylinder blocks for example. I like 'em well enough, but sometimes I wonder why exactly I collect them. Or what's the point of them. That's what you get when you don't research or think for yourself but just follow the pack, I suppose. My latest block, which I bought this week, brought back some of my old musings, and I thought I might as well share them with you. Maybe you can help me see things more clearly, or give me the perfect excuse to stop wasting my money. 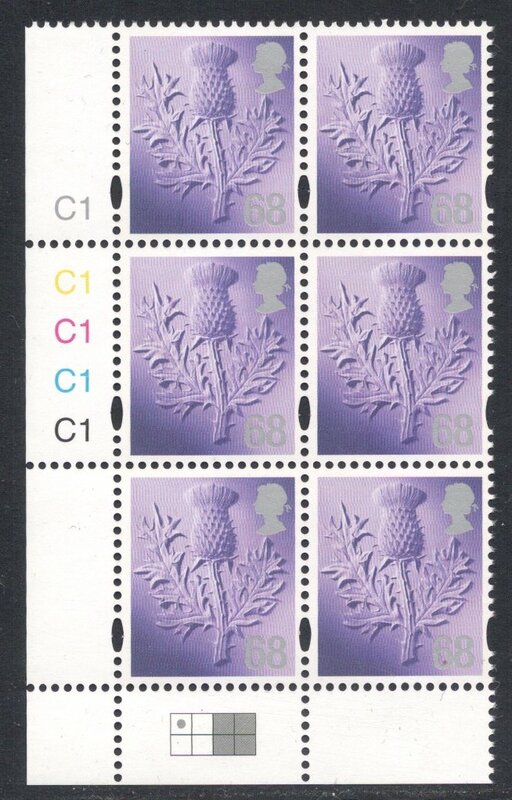 The thing is, I'm not even that fond of the current Scottish definitives, and find the whole series a bit repetitive, with only four designs and not even any colour changes. 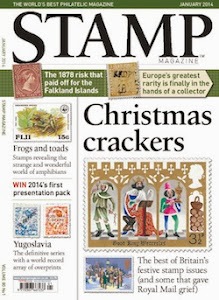 But I do, for some reason, want to keep up with them, so I visit my local post offices when there's new stamp added to the set. And I get the cylinder blocks as well. I even tried to keep abreast of date-of-printing blocks but that really was too random and too much money, so I've already stopped doing those. Now here's a Cartor-printed cylinder block for the 68p. 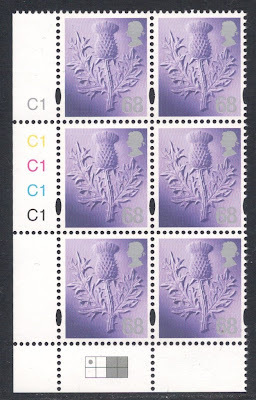 Yes, it is a 68p but don't get me going on the uselessness of including it in this design for it takes perfectly trained eyes to spot and read the value. All is well, and I really do like the positional grid. At the end of its lifetime a new cylinder was made for the black printing, named C2. Again, all clear. 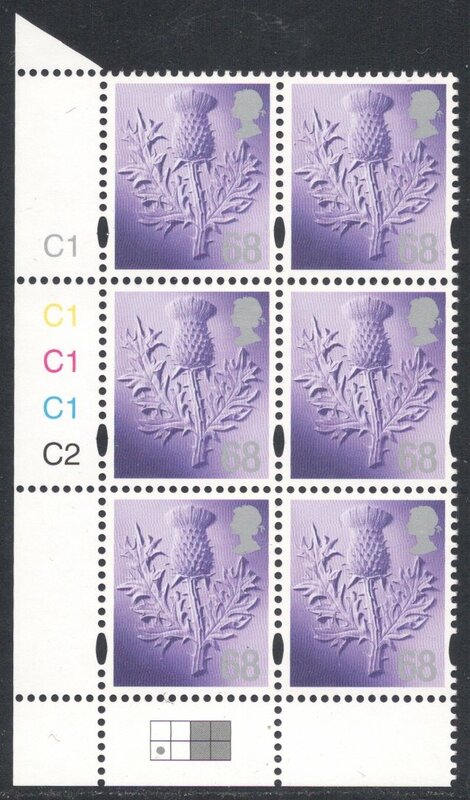 So why don't the next values, such as the recently issued 88p, continue with this C2 cylinder? I'm presuming the black is only used for the printings on the sheet margins. To my simple mind, if that information does not change, one could use cylinder 2 for all subsequent values, and if it does change and therefore requires a new cylinder, the number of that cylinder should move up rather than revert to 1. And have you seen how the C1 has a different font as well? That on its own could be enough evidence to suggest that this is a new cylinder. It reminded me of a similarly confusing episode in the printing (by Walsall this time) of the current Dutch definitives. The €1 value was printed with two types of W2 cylinder. The same questions applied here. So what's the deal here? Can anyone explain this cylinder numbering business to me? For if I can't make it out, or if it just isn't logical, I'm really not sure why I should continue bothering with them. And because I actually do like them, despite my mutterings here, I would really like a solid justification for collecting them. RE the Black printing by Cartor. The litho plates (not cylinders, that's gravure) contain the printing date. Thus a new date SHOULD result in a new cylinder number, but sometimes this doesn't happen. 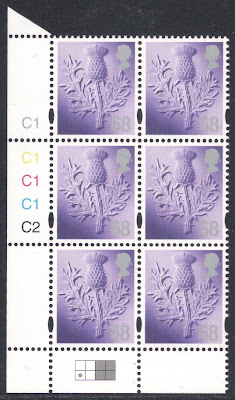 As for justification of collecting them... these days it is probably less important, but back in the 60s a single low-value stamp could be printed in 8 colours from a combination of 20 different cylinders. Collecting - even finding - them all, was a challenge. 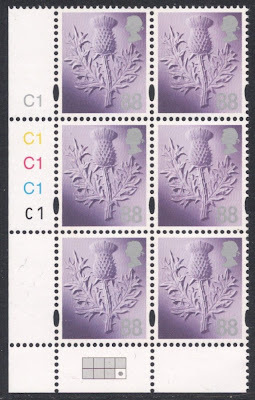 There's not such a challenge now except when new definitive cylinders/plates are not identified by Royal Mail Tallents House and are only found in Post Office branches. 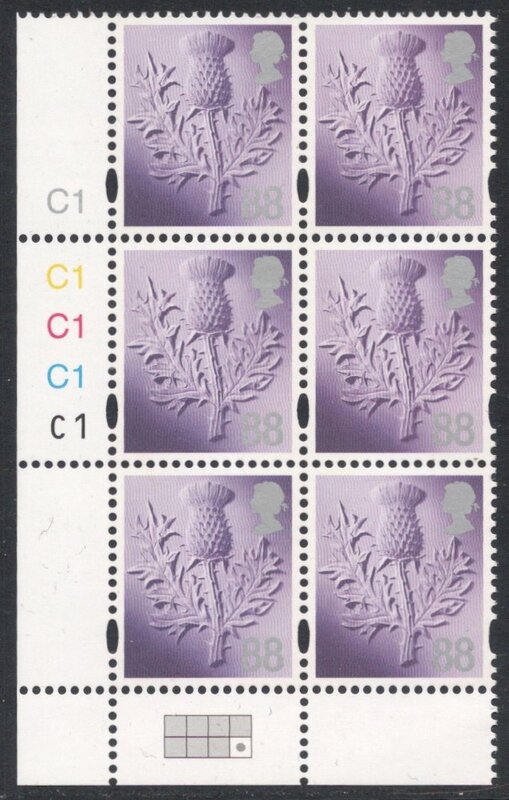 To my (untrained) eye collecting these looks somewhat similar as collecting watermark or paper varieties. Some like it, some don't. So I think it comes down to personal preferences what to do with these.